Brian and Ann Croser have long considered the west coast of the United States as "home away from home" since their 18-month stay at the Davis campus of the University of California in the early 1970s. 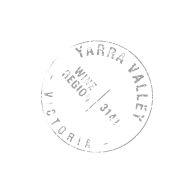 They have since made significant footprints in the wine world including starting the Petaluma wine company in Piccadilly Valley, South Australia and co-founding Argyle winery in Dundee, Oregon. In 2002, Ann and Brian purchased the 50-acre Christmas tree farm in the southern end of the Eola Hills that was eventually to become Tunkalilla Vineyard. In a reverse of the 1976 Petaluma naming decision, Brian and Ann chose to name their Oregon vineyard Tunkalilla Vineyard after a vineyard-adjacent beach in South Australia. "Decanter's 2004 Man of the Year, Brian Croser, is one of the most outstanding, but also enigmatic and misunderstood, figures in Australian wine.... He is simply way ahead of the pack." Tunkalilla Vineyard is a concave slope in the belly of the south-facing escarpment of the southern end of the Eola Hills. The Eola Hills run north south, parallel to the sedimentary coastal range to the West and the mighty volcano dotted Cascades to the east including Mt. Adams, Mt. St. Helen, Mt Hood, Mt. Jefferson and the Three Sisters most of which are visible from Tunkalilla Vineyard on a clear day. At the southern foot of this terminal slope of the Eola Hills is the Van Duzer Corridor, which cuts westward through the coastal range allowing cool humid air to creep into the Willamette Valley from the cold Pacific to the west. Tunkalilla Vineyard is perched above the eastern inland opening of the Van Duzer Corridor. Tunkalilla Vineyard’s soil is classified as the highly prized Jory soil of Oregon.